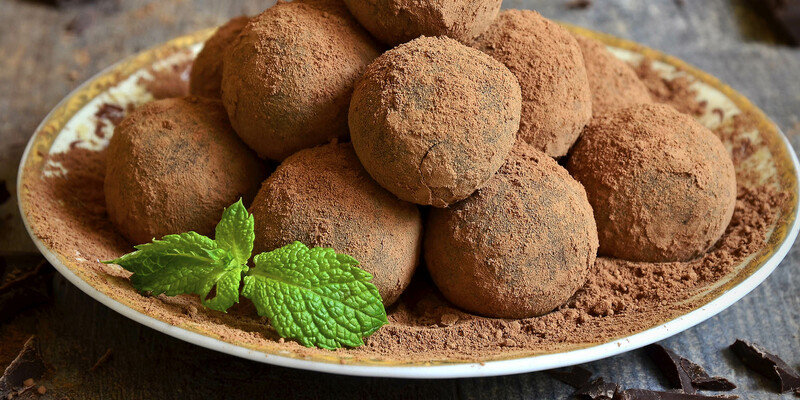 These mint chocolate truffles have so much chocolate flavor, one is all you need! Combine chocolate, oil, and extract in a small bowl; mix well. Set aside. Bring coconut milk to a gentle boil in small saucepan over medium heat. Add coconut milk to chocolate mixture; whisk gently to blend. Place chocolate mixture, covered, in refrigerator for at least 4 hours, or overnight. Using a melon baller or spoon, scoop out 1 Tbsp. of chocolate mixture. Roll into a ball. Roll in cocoa powder until evenly coated. 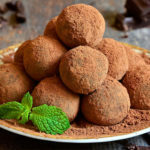 Repeat to make twelve truffles. Store in refrigerator for up to one week or in freezer for three months.